Winter hit us hard at the beginning of 2019. We’ve seen temperatures drop below -30 degrees celsius! There’s been freezing rain, snow, a polar vortex, plenty of salt thrown down, and ice forming on just about every surface. You can bet your home has been working hard to protect you from the elements, so now it’s time to show it some love. Did you crank the heat up? Your furnace has been working hard for a few weeks now. Your filter, heat recovery ventilator, and fan belt are tired and need some maintenance. You can either clean or replace your filter and check and clean the ductwork leading to your HRV. To check your fan belt, you’ll want to turn off the circuit breaker to the furnace, then unscrew the front access panel. If the belt is broken, it’s possible to replace it on your own, but we recommend hiring a professional to do any handy work with your furnace, other than cleaning. This is another one that may be intimidating to the average homeowner. Instead of trying to explain how to repair a water heater (which we are not confident doing), here are a few signs that there may be something wrong: Rusty water means the heater is likely rusting from the inside. A rumbling noise means sediment has hardened on the bottom of the tank, and the more it rattles the more the metal tank will be damaged. If there’s moisture around the tank, it could mean there is a leak or puncture. Call a professional if you notice any of this happening. The air can get super dry in the winter. That’s why so many households have a humidifier. If you’ve had yours running since December, then it could need cleaning. All you have to do is remove the water tank and check the interior for any mold or mineral deposits. You can use a toothbrush and white vinegar to clean it out. 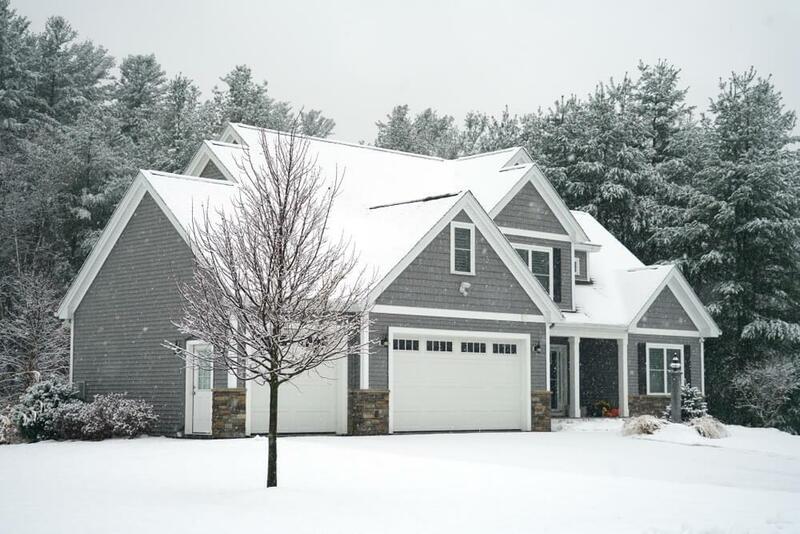 Whether the ice is on the ground or on your roof, it can be a hazard (also, icicles on your eavestrough or edge of your roof are a sign of warm air leaking from your home). As safely as you can, knock down any hanging icicles and break up ice build-up around your home. The last thing you want is a sheet of ice falling on you, a family member or a guest. As always, make sure your smoke detectors and carbon monoxide detectors are functioning, and replace batteries if necessary! Sometimes these detectors can be in hard to reach places, so if you need a ladder or a chair, make sure you have a spotter. We still have a couple months of winter ahead of us, so if you want your home to continue taking care of you, then you need to take care of it!